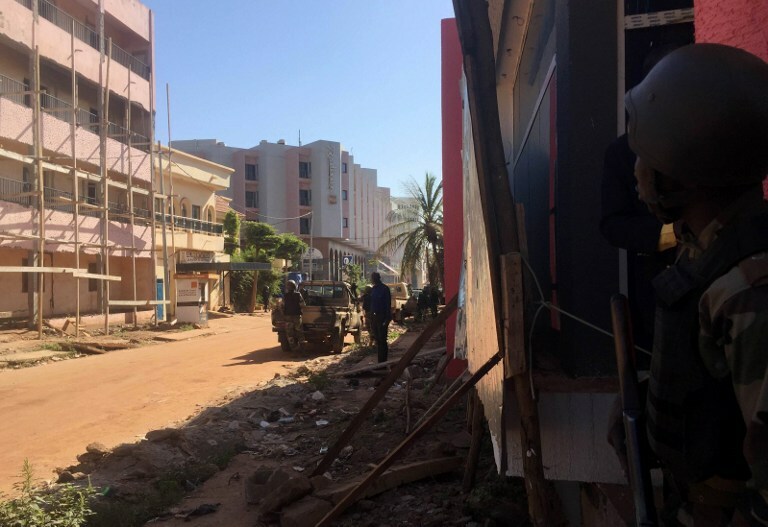 BAMAKO, Mali (AP) — Suspected jihadists crying “Allahu Akbar” stormed a tourist resort popular with foreigners on the edge of the Malian capital Bamako on Sunday, briefly seizing hostages and leaving at least two people dead. 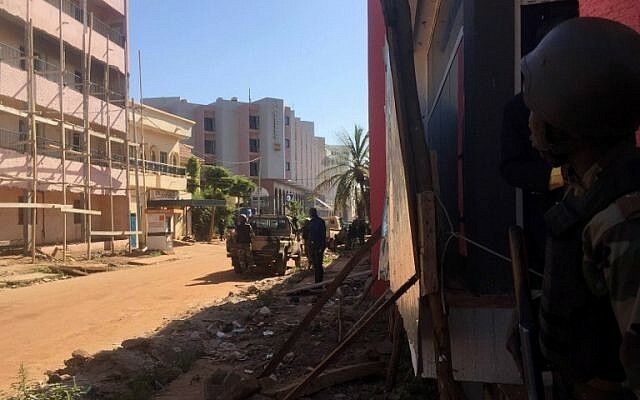 The assault on the Kangaba Le Campement resort comes after a similar strike less than two years ago at a luxury hotel in Bamako, which lies in the south of the troubled country. Security forces battled the gunmen at the site, with nearby residents reporting hearing shots, while smoke billowed into the air, with at least one building ablaze. “It is a jihadist attack. 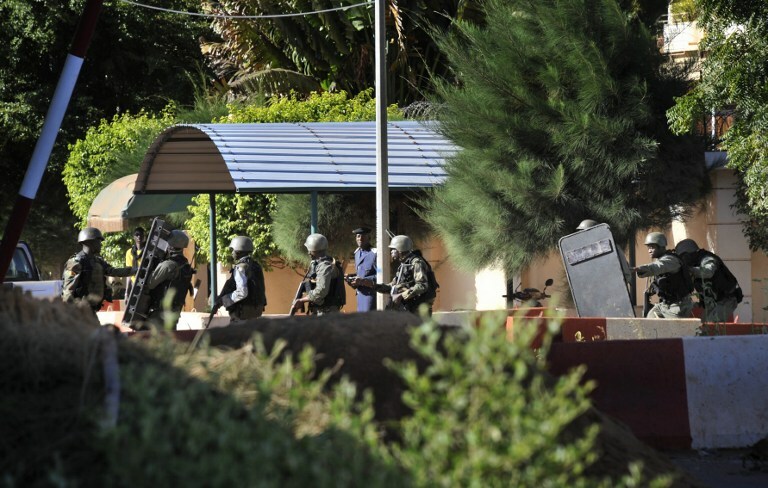 Malian special forces intervened and about 20 hostages have been released,” Security Minister Salif Traore told AFP. An official from the security ministry confirmed earlier that Malian special forces, backed up by UN soldiers and troops from a French counterterrorism force, “have sealed off the area and are in the process of organizing operations” against the attackers. Malian troops and soldiers from France’s Bakhane regional counter-terrorist force were surrounding the site, a resort boasting accommodation in hut-style rooms, as well as restaurants and swimming pools. The landlocked west African country has been battling a jihadist insurgency for several years, with Islamist fighters roaming the north and center of Mali. 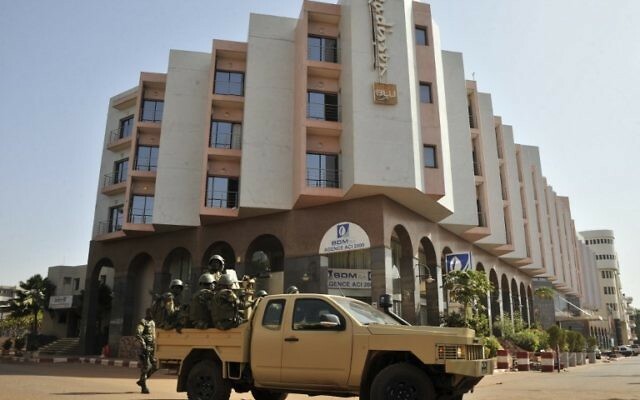 In November 2015, gunmen took guests and staff hostage at the luxury Radisson Blu hotel in Bamako in an attack that left at least 20 people dead, including 14 foreigners. That attack was claimed by Al-Qaeda’s North African affiliate Al-Qaeda in the Islamic Maghreb (AQIM). In March of the same year, a grenade and gun attack on La Terrasse nightclub in Bamako killed five people, including foreigners. A state of emergency has been renewed several times since the Radisson Blu attack, most recently in April, when it was extended for six months, but attacks continue. In 2012, Mali’s north fell under the control of jihadist groups linked to Al-Qaeda who hijacked an ethnic Tuareg-led rebel uprising, though the Islamists were largely ousted by a French-led military operation in January 2013. But the jihadists have continued to mount numerous attacks on civilians and the army, as well as on French and UN forces still stationed there. Sunday’s attack is the latest in a series of high-profile assaults in north and west Africa, targeting locals and tourists. 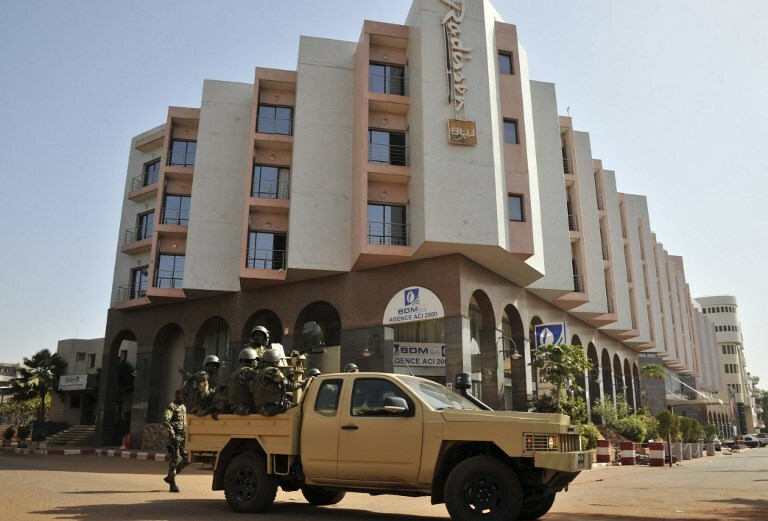 In January 2016, 30 people were killed, including many foreigners, in an attack on a top Burkina Faso hotel and a nearby restaurant in the capital Ouagadougou. AQIM claimed the assault, saying the gunmen were from the Al-Murabitoun group of Algerian extremist Mokhtar Belmokhtar. In March 2016, at least 14 civilians and two special forces troops were killed when gunmen stormed the Ivorian beach resort of Grand-Bassam, which was also claimed by AQIM. The UN has a 12,000-strong force known as MINUSMA in Mali, which began operations in 2013. It has been targeted constantly by jihadists, with dozens of peacekeepers killed. France also has 4,000 soldiers in its Bakhane force in five countries — Mali, Mauritania, Niger, Chad and Burkina Faso — all of which are threatened by the jihadist threat across their porous borders.